Herbaceous perennial, aerial part up to 130 cm tall; rhizome cream to pale yellow inside with smell of young mango fruit. Leaves narrowly ovate or elliptic with a purple costa or entirely green. Inflorescence spike-like, cylindric, produced outside the leaves. Lower bracts white, median green, terminal bracts violet red. The plant is usually cultivated in backyard gardens in loamy, high organic soil. 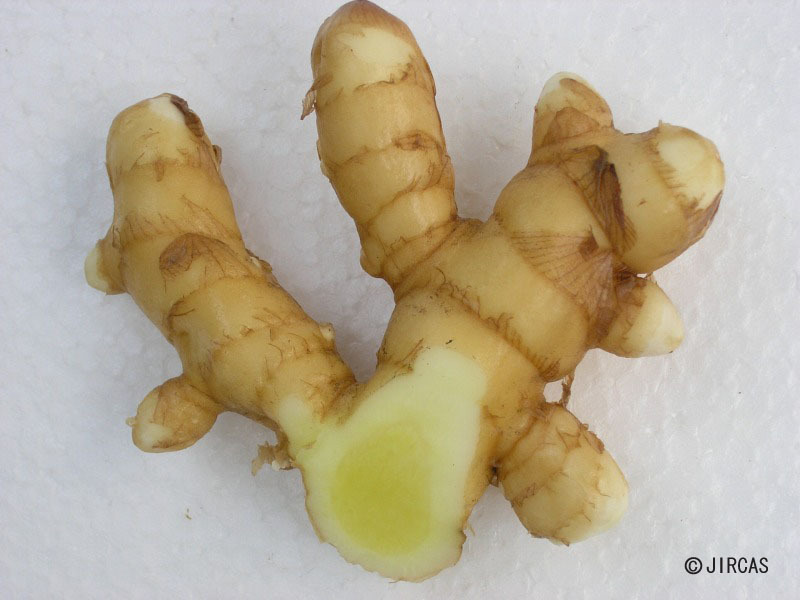 Young inflorescence is available during the beginning of rainy season; young rhizomes is available 4-5 months after planting. They are eaten raw with many kinds of hot and spicy dipping. 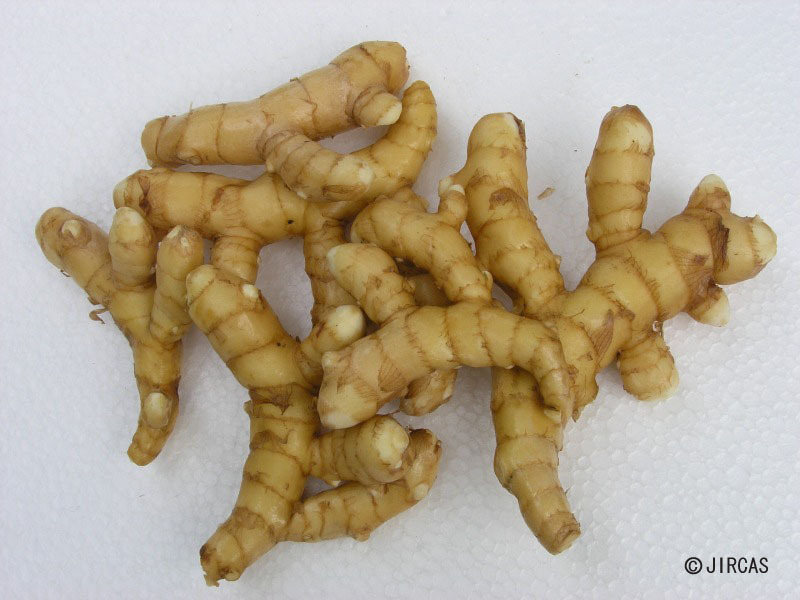 Fresh rhizome is effective against stomach disorders. Small pieces of rhizome with 3-4 buds, c. 50 gm, are planted at 20 by 50-70 cm spacing at the beginning of rainy season.